San Diego Events June - Event Calendar for San Diego summer of fun. Are you looking for some fun San Diego events? A family activity in San Diego, California? Fun date ideas in San Diego? Outdoor activities? Kids activities? Check out these fun things to do in San Diego. 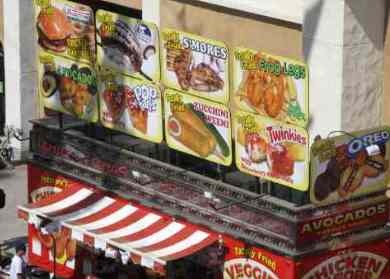 San Diego County Fair 2019 – May 31 to Thursday July 4th 2019 at the Del Mar San Diego Fairgrounds (Interstate 5 at Via de la Valle). More San Diego family fun with concerts, flowers, rides, exhibits and really unique food at the San Diego County Fair. This is one of the best of the summer San Diego events! June is a great time to go, especially early June before the crowds hit. Not open on some Mondays and Tuesdays. Sea World Water Park - Summer is time for a water park. Enjoy a fun summer day at Sea World Aquatica Water Park. 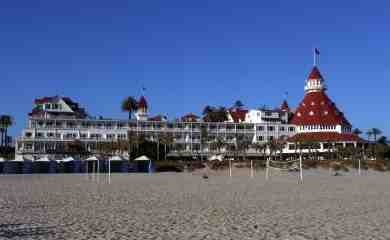 San Diego Beaches - Spend a day at your favorite San Diego beach. Enjoy some beach volleyball, surfing, beach walking and more. 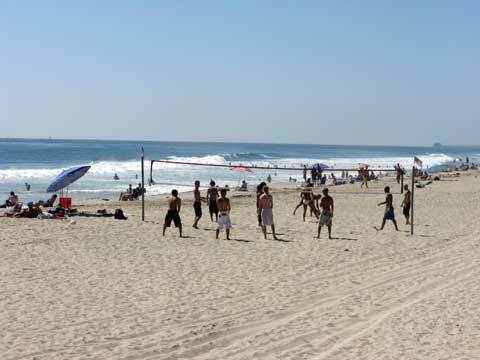 Check out the best San Diego Beaches. Iron Championships Outrigger Canoe Racing - June 22 2019. This yearly event is fun for the entire family. Canoe racing has become one of the most competitive water sports along the west cost. It is open in all divisions for both men and women. It is truly a co-ed water sport. The race begins early Saturday morning and ends in the late afternoon. Vendors are set up selling their goods. There is always a raffle for prizes and also some great foodie trucks. Be sure to plan for next year! You’ll want to come on out and enjoy the fun. IMAX movie - Daily at the Reuben H. Fleet Science Center in Balboa Park San Diego, California. Enjoy an IMAX film at this great theater, or check out some other San Diego movie theaters. 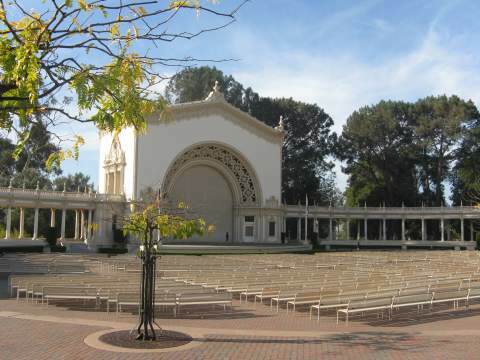 Free Organ Concerts in Balboa Park - Every Sunday from 2 - 3 PM you can enjoy a free outdoor organ concert at Spreckels Pavilion, a beautiful outdoor pipe organ in San Diego Balboa Park . One of the free unique San Diego events. 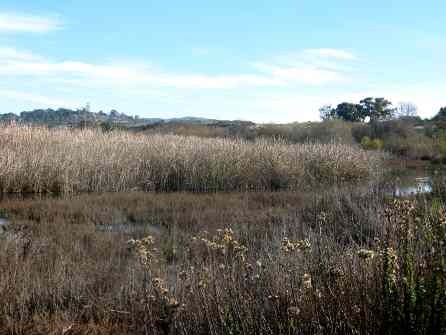 Guided Nature Walk - Every Saturday from 10 - 11 AM at San Elijo Lagoon Nature Center, 2710 Manchester Avenue. Also, join your nature guides on the 2nd Saturday of every month, at 9 am for a two hour tour, exploring the flora, fauna and history of San Elijo Lagoon Ecological Reserve. 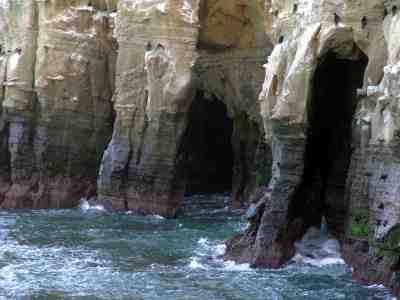 We love these free Nature Hikes in San Diego www.sanelijo.org. Fairy Festival - Saturday June 22 2019 from 10 AM - 4:00 PM at San Diego Botanic Garden in the Hamilton Children Garden, 230 Quail Gardens Drive, Encinitas CA. If you have girls, you won't want to miss this. Have them wear their fairy costumes, and celebrate Summer with crafts, the Fairy Queen, and the Wishing Bush. Crafts, fairy parade, stories and free play. Another fun kids San Diego event in North County. Taste of Gas Lamp - Sunday June 15 2019. Enjoy this downtown SD urban food safari as you taste interesting dishes in the historic Gaslamp Quarter. Includes a self-guided walking tour and special beer tasting garden. www.gaslamp.com. Summer Solstice in Del Mar tentative June 21 2019 from 5 – 8 pm at Powerhouse Park, 1658 Coast Boulevard, Del Mar, CA. Enjoy some of the best food, wine and beer with great entertainment and sunset views. $75 tickets.visitdelmarvillage.com. Weekend Beach Walks - Saturday and Sunday June 8 to 9 and 22 to 23 from 7:00 AM to 10 AM 2019 will be a nice time to walk some of the local beaches at moderate low tides. Bring along a picnic basket and enjoy your walk on the beach. Ocean Beach Street Fair and Chili Cookoff - Saturday June 22 2019 from 10 AM to 8 PM at Ocean Beach. Free one day festival with live music and entertainment, and of course a chili cookoff. A popular yearly community tradition with 5 music stages, art, food, and fun for the all age, over 70,000 visitors throughout the day make this one of the best San Diego events in June! Oceanside Freedom Days Parade - Saturday June 29 2019 from 10 AM – 12 pm, on N Coast Highway 101 in Oceanside from Wisconsin Ave. to Civic Center Drive. Watch this annual 4th of July parade (on the Saturday before July fourth each year) starting at the 101 Café to the Civic Center. Bring your folding chair for a view along the sidewalks. For more information call 760 754 4512. San Diego Night Market - date TBD 2019 Diego events offers a variety unique food, beer from local micro breweries, entertainment and more. Check out the San Diego Night Market event at www.sdnightmarket.com. San Diego July 4th Celebrations - Independence day is coming soon - Thursday July 4 2019, so make your plans for your best ever San Diego July 4th Celebration. Check out our page on July 4th fireworks and celebrations throughout San Diego County. San Diego July 4th Celebrations and Fireworks 2019. Things to Do in San Diego - For more San Diego events , check out these Things to do in San Diego and 101 Things to do at the Beach.